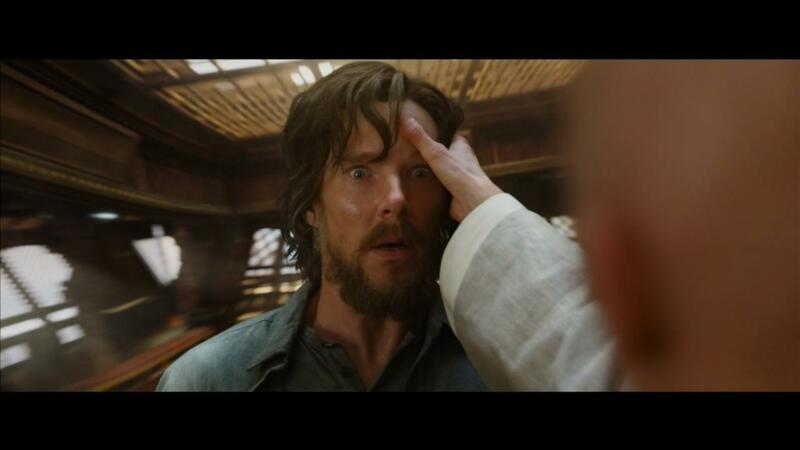 The first trailer for Marvel's "Doctor Strange" debuted on "Jimmy Kimmel Live!" on Tuesday. The film stars Benedict Cumberbatch as Dr. Stephen Strange alongside Tilda Swinton as the Ancient One and Chiwetel Ejiofor as Baron Mordo. Strange is a brilliant but egotistical surgeon who travels the world to restore his skills after a car accident leaves him unable to operate. In his travels, he meets the Ancient One, who teaches Strange the ways of magic in order to protect the Earth from a host of mystical foes. Rachel McAdams, Benedict Wong, and Mads Mikkelsen are also set to star in the superhero film. Scott Derrickson is directing with C. Robert Cargill and Jon Spaihts writing the screenplay, based on the comics by Steve Ditko. Alan Fine, Stan Lee, Charles Newirth, Victoria Alonso, Stephen Broussard, and Louis D'Esposito serve as executive producers on the project, with Marvel Studios president Kevin Feige producing. This is one of several Marvel movies being released in 2016. "Captain America: Civil War" will hit theaters in May, just ahead of Fox's "X-Men: Apocalypse" later that month. "Deadpool" proved to be a surprise success for Marvel back in February. "Doctor Strange" is set to enchant its way into theaters on Nov. 4.